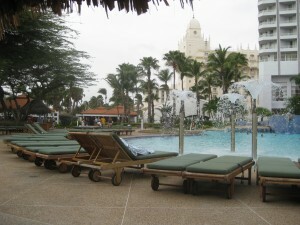 Aruba – Back when me and the wifey got married, we had heard good things about Aruba so we went the all-inclusive route and booked a week-long honeymoon there. It was awesome! It was better than we could even have imagined. We stayed at the resort with the big clock (it was a Wyndham, but it is a Westin now) and it was amazing – restaurants, casino and alcohol everywhere on the resort. Two little nuggets – we were there a couple weeks before the Natalie Holloway incident and went to all of the places that were talked about throughout the investigation. And I slept on the bathroom floor the first night puking from all of the rum I drank. The wifey was really happy with me, needless to say. St. Maarten – Our good friends just went to St. Maarten this past summer and really enjoyed themselves. They aren’t necessarily the party type of people, but they said there was a great mix of both. Whether you wanted to relax and be romantic (I busted his balls for even considering it), I heard there is the best of both worlds. 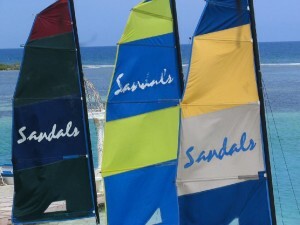 They stayed at the Sapphire Beach Club & Resort and said the people were great there. Jamaica – A guy that my wife works with went to Jamaica about three years ago for his honeymoon and was a little hesitant at first because he had heard some bad things about the area surrounding the resort. However, after he went he said he would go back in heartbeat. The people were outstanding and very gracious, and he felt he and his wife were never in harm’s way for anyone trying to steal from them or harass them. They stayed at the Sandals in Montego Bay. Maui – My sister and brother-in-law went to Maui on their honeymoon and loved everything about it, except for the flights to get there. They did the smart thing and went for two weeks, which they ended up raving about because it takes a day or two just to get adjusted to the time difference. They are a relaxing time of couple so they didn’t do too much drinking or partying, more so just spent time on the beach and at the pools. They haven’t been back since (see what kids do to ya! ), but they highly recommend staying at the Grand Wailea hotel, a little out of my price range! Napa Valley – A girl I used to work with went to Napa Valley for their honeymoon, which I never even thought about doing. If you aren’t into wine, I’m not sure this is the place to go. But they are, and we are, so that’s why it makes the list. They said it was so relaxing going to the different wineries and the views were spectacular. I wouldn’t mind going there sometime, let’s just hope it isn’t for a honeymoon to a different bride!